"A delicious blended drink using cake vodka. I invented this drink while visiting my sister in Minnesota. We did not know what to do with the cake vodka so I tried this and everyone loved it. Enjoy!" 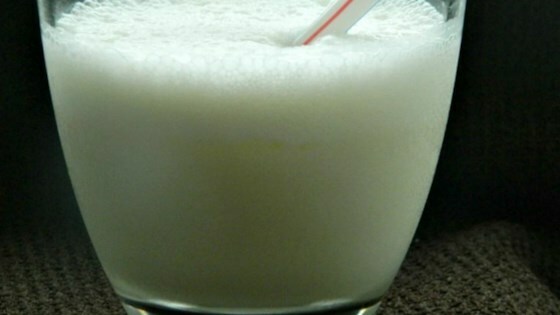 Blend ice cream, milk, ice, vodka, and sugar together in a blender until smooth. A decadent combination of ice cream, caramel, fudge sauce, and whipped cream. This is one heck of a dessert drink! Yum! Yum! I thought it would be too sweet, so I almost didn't put in the sugar--but it all works out well. Thanks so much, superwoman!